Success jam-packed with taste, flavour, recipes, traditions and professionalism. 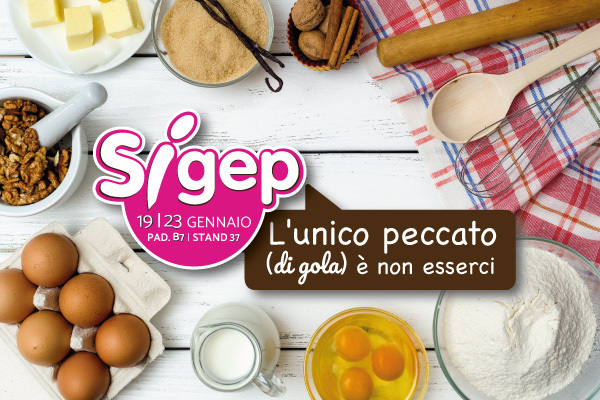 Molino Piantoni’s experience at Sigep 2019 has recently come to an end and leaves behind it a trail of images and moments that will remain impressed in the memories of the key players and countless visitors who tasted the products prepared on the Piantoni stand. The 40th International Artisanal Ice Cream, Confectionery, Bakery and Coffee trade fair hosted a total of over 200,000 visitors coming from 185 Countries with a further 1,250 exhibitors and 925 accredited journalists. 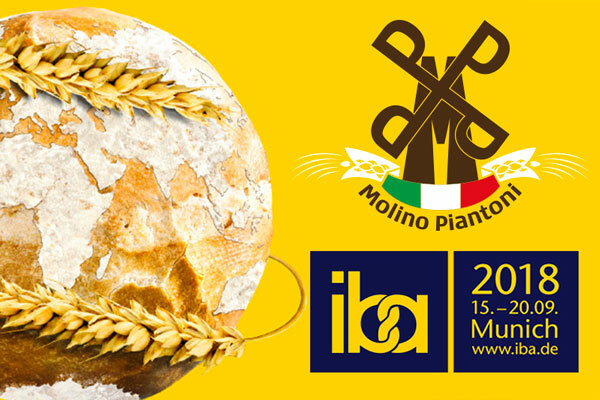 Within this trend showcase, during meetings held by great internationally-renowned professionals, focusing on technological innovation in terms of creativity and quality within the Made in Italy food service desserts sector, Molino Piantoni flour varieties carved out a niche of their own. The traditional product line, “l’Integrale”, “Nativa” and “Anima di Grano”, made it possible for professionals of the calibre of Armando Palmieri, Leonardo and Carlo Melucci, Adriano Dogali, Antonio Cupo, Alessandro Servidio, Antonio Ferraiuolo and Gabriele Gianotti to prepare many finger-licking specialities during their respective show cooking events. 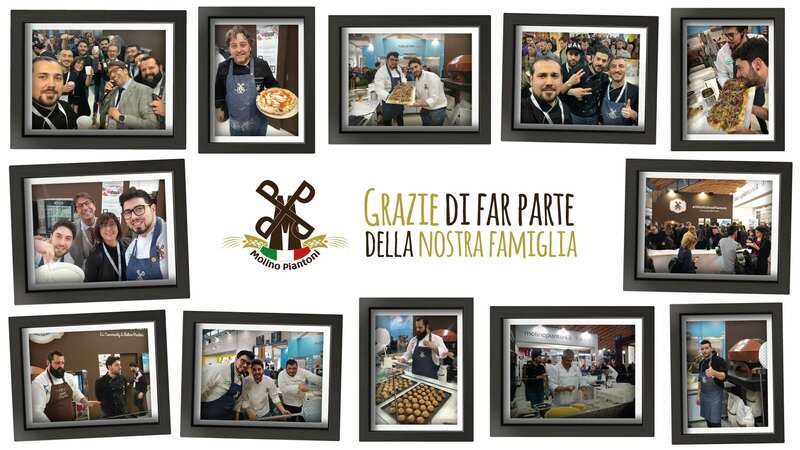 Master pizza chefs and confectioners, but above all, friends of Molino Piantoni who, with their high level of cooperation and professionalism, collaborated throughout the Sigep trade fair so as to enhance and give the right value to each product. Each of them did so by telling different stories, through a wide range of specialities. First of all, Armando Palmieri, a master confectioner of international fame who provided a feast for the eyes and tickled the taste buds of the visiting public with his confectionary art and continuous research. His cream puffs, shortbread biscuits, Sacher and yogurt cakes spoke for themselves, the true protagonists of the various show cooking events held by the Master confectioner, appointed ambassador of Italian confectionery worldwide, thanks to his experience overseas. The other protagonists included: Cupo with the gourmet pizzas; Gianotti with his “Lady D” pizza; Ferraiuolo with his “massariola napoletana”; the Melucci brothers from Palma di Majorca with their dessert and international-style pizzas; Servidio, Maurizio Greco and Marco Ienna with their gourmet peel pizzas. Many faces and experiences that, once again, bore witness to a success story resulting from the passion, simplicity and love for this profession. Values that, for years, have distinguished the corporate history of Molino Piantoni and its products. Values that have enabled the Piantoni family to be appreciated by the market and its key actors. Special thanks go to our friends who played a leading role at Sigep and to all visitors from the entire Molino Piantoni staff and we hope to see you at Sigep 2020.